The workshop Going Against the Flow focuses on the use of wells and cisterns, how these installations functioned and were used in ancient Greece, as well as how they can be better integrated into our understanding of the ancient water supply. The workshop is divided into two parts. The first is centred on the water sources in their context, discussing use, function and terminology. The second is on contextualisation from other perspectives and disciplines. The first part of the workshop will focus on the material from ancient Greece. This part will begin with a short session on terminology (e.g. terms from various installations, shapes and construction methods, as well as specific features such as plaster/mortar/cement/lining and other questions) and definitions (what do we mean by cistern, reservoir, manhole, draw-shaft, well, well-like installations etc.). This will be followed by presentations of material at sites explored by the participants. How did the water supply function if we take cisterns and wells as the starting point, not fountains and aqueducts? The second part of the workshop will broaden the discussion through a contextualising session. This part of the workshop treat the water supply, with special reference to the use of wells and cisterns, and the conditions under which they functioned from perspectives other than the installations themselves. This part of the workshop includes perspectives such as the effects of climate change, land usage, 19th century use of cisterns and wells, as well as outside views from other areas in the Mediterranean world. Note that the number of seats at the workshop is limited. Those interested in participating should contact the organiser Patrik Klingborg (Patrik.Klingborg[at]antiken.uu[dot]se). – Terminology: How do we differentiate various similar water sources from each other? How do we define various installations and can modern definitions be reconciled with ancient terminology? How can we work towards a more consistent modern terminology? – How does the water supply in ancient Greek societies look if we take wells and cisterns as our starting point instead of fountains and aqueducts? – How influential were external factors, e.g. climate change, political conditions and demographic shifts, for the development of the water supply system? 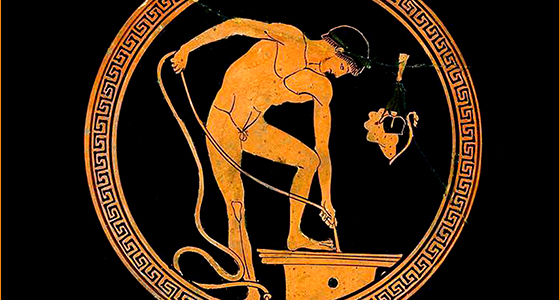 – What can we learn about the water supply in ancient Greece by widening our scope and incorporating other perspectives and disciplines?